The Gremlins Have Just Arrived to Koalakrane Machines! HomeThe Gremlins Have Just Arrived to Koalakrane Machines! Don’t get them wet. Don’t let them near bright light. And don’t ever feed them after midnight. Do you remember whom these instructions are for? Of course, you do. Get ready for the furry, roller-coaster adventure of your childhood with these adorable Gremlins plush toys—now coming to Koalakrane machines near you! Just like the actual characters from the popular ‘80s sci-fi movie, these Gremlins plushies are all kinds of cute and cuddly. Nothing beats classic thrillers, which is why these spectacular Gremlins soft toys will not only give you a whiff of nostalgia but also make every playtime fun and exciting for your kids! With their soft faux fur and breathable plush fabric, every Gremlins doll is a delight to play and cuddle with—perfectly safe for kids aged 4 and up. Apart from their unique design, these soft Gremlins toys are officially licensed with individual tags, so you are assured of top quality prizes each time you beat the claw! Don’t wait until these creatures decide to run away and wreak havoc! 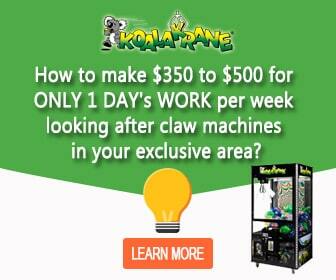 Win Stripe, Mohawk, and Gizmo in different sizes when you play Koalakrane claw machines today!